Every now and then I read about people wondering when they should start giving their tweens pocket money. And in my opinion, if you’re asking when to give TWEENS pocket money, you’re already way too late. 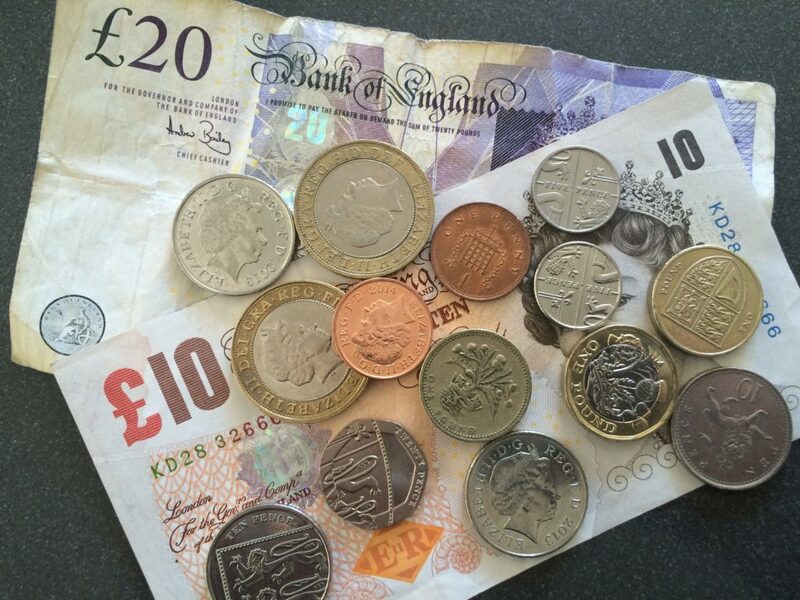 All of my kids had pocket money from the age of 4 – £2 a week. As a result, they are all very good with money. It is their money and they can choose to save it or they can choose to spend it. They know that if they want anything, they have three choices – save for it, wait until your birthday or wait until Christmas. They know not to ask for it because they know we won’t buy it for them. Apart from essential clothing, school stuff etc, they buy everything themselves. That’s the way it has always been and they have never known any different. And it really works! My kids understand the value of money and the cost of things. They know if they buy little things every week that they will never be able to afford anything big. Likewise, they know if they want something big, they have to save for it and eventually it will be theirs. Kids appreciate things so much more if they’ve taken the time to save and waited for it, sometimes for months. My eldest is the spender. He never holds on to money for long and can never think long-term. If he sees something, he usually buys it there and then, forgetting any longer-term aims he may have had in favour of the quick win. My younger son is the saver. He has something in mind that he wants and he saves until he gets it. This boy bought a laptop at the age of 7, a second-hand Xbox at the age of 10 and a DS just before Christmas last year (he didn’t want to wait until Christmas and he didn’t need to, because he had the money). My daughter is the hoarder. She has nothing in particular to save for and she worries about ‘wasting’ money. She will always think very carefully about any purchase and then usually reject it, for fear of her money going down. As a result, she usually has between £150 and £200 to her name. She has recently discovered a love of shopping and has started to spend bits on clothes and accessories, but is still careful not to let her money drop below £150. I have increased their pocket money a bit since they were 4. When my eldest went to secondary school, we increased his to £3, then when my younger son went to secondary school, we increased both boys’ pocket money to £4 and my daughter’s to £3. My younger son chooses to spend £1 a week of his money on extra data for his phone. When my daughter starts secondary school in September, I think we will probably increase the younger kids’ pocket money to £5 a week each, with them both spending £1 a week on data. As my eldest will be going into 6th form, I think £10 will be an appropriate amount for him. With this, he will be expected to fund all of his days and nights out. Hopefully he will also have a part-time job by then. He is already earning extra cash from time to time by feeding neighbours’ pets when they go away. Giving my kids pocket money has really worked for them and for us. I’m sure that by giving them their own budgets we have not only taught them the value of money, but also saved ourselves a lot of money over the years by not buying things for them on impulse. What do you think? Do you give your kids regular pocket money? How much do you give them? We have given pocket money from an early age too and we encourage saving up for things that H wants to buy. I think in time we will need to increase it, but say it has to cover more things, so he does more budgeting. Ooh I love this idea. Z gets pocket money and he’s such a hoarder. His money box is full to the brim always. He’s forever wanting to give it to people too! Bless him, that’s lovely! He sounds a lot like my daughter. She will usually give a bit of her money to Children in Need and Comic Relief completely of her own accord. Our 9 year old gets £3 a week and our 14 year old gets £5 a week. We’ve started putting the money directly into bank accounts for them. It works okay for my 14 year old as she has a debit card and can use it but for my 9 year old it’s a child’s account so there’s no easy access or way of checking the amounts. It then means he’s lost the connection with the money so while he’s saving it’s backfired in the sense of making him aware. I can see the benefits though of giving them money earlier (we didn’t until late) so my two younger ones will start when they start school. Great post! Thanks very much! We’ve recently started paying all of our kids’ money into the bank too. As my daughter is 11, she can have a card, but she hasn’t actually used it yet. She still prefers to keep her money at home, but I didn’t want that much cash hanging around! I never know if I’m giving my kids the ‘right’ amount of money, so I’m pleased to see you give a similar amount to us. How on Earth have you managed to be so disciplined? To say I am impressed is an understatement. Thke kids are supposed ot get money for doing chores or doing well at school. Thing is, we often forget to give them anything which is bad! Thanks very much! It’s how I was brought up, so it seemed the natural thing to do with my kids. I must admit I get slightly horrified when I see parents just buying their kids stuff because it just doesn’t happen in our house! We might appear mean, but it’s been really good for them. Yep, I think pocket money is a great idea. We started doing it with my eldest but we forget and she doesn’t think to remind us. We’ll have to start again, I like the idea of teaching them the value of money. It’s a really great way of teaching them the value of money. Your eldest will have to start reminding you! N doesn’t have pocket money, and similarly we didn’t when we were his age. My mum just bought everything although we didn’t really have treats. We did however then have a contract for room tidying to get our pocket money, and money would then go into the school bank accounts we had each week, or just into a normal account when older. Birthday money would go into national savings. I used mine to pay for an A clarinet, money towards a saxophone and a racer bike I wanted. With N, he vaguely gets wages when someone has money and gives him some for helping on the farm. But it’s sporadic (otherwise they’d be skint because he’s always on the farm). He has rewards for doing chores and tasks, but rarely does these – he understands that he has to work towards the longer term reward, but he’d just rather not at the moment. I do struggle to get him to help with tasks I ask him to do, although he’ll randomly help with other things. At the moment he doesn’t look after the money he has. He just has to fiddle and move it around the house to different money boxes, so god knows where his money is at any one time. (Apart from his wages jar which is out of his reach). I guess we’ll have to start thinking about it in the next couple of years, but it needs to be a way for him to realise doing stuff round the house is what he should be doing and not just for money. Wages are a really good idea! I used to worry about where my kids were storing their money and whether they would forget or lose it. My son used to earn money for doing the hoovering, which I was very happy for him to do, but he’s got fed up of doing it now, so the hoovering is back with me! I’m hoping one of the other kids will take it on soon. No I don’t give mine pocket money and it has worked well for us. I am really proud how our oldest has done financially with money at Uni. It’s interesting that you haven’t given pocket money, but your son is doing well with managing his money at university. No wonder you’re proud of him. That’s amazing. It’s good to read that the benefits still continue when they leave home. I have high hopes that my kids will be sensible with money when they go to uni too. I need to start my kids with pocket money, they really don’t understand the value of money. I always thought it would be difficult as they have such different attitudes to spending (my money) or wanting/needing stuff. Now I see that it doesn’t matter. Do you give them cash, or do they have their own bank accounts? They used to have cash until a year or two ago, now they have it paid straight into their bank accounts and either pay with things by card or just take small quantities out when they need it. I think having the money in the bank is even more of a deterrent to them spending it! I agree. Gotta start young. I’m not there yet as my boy is only 1, but I’m working out how much it should be, still. I do think 4, around the time they start school, is a good time to start as they learn so well at that age.